Well, something had to go wrong. 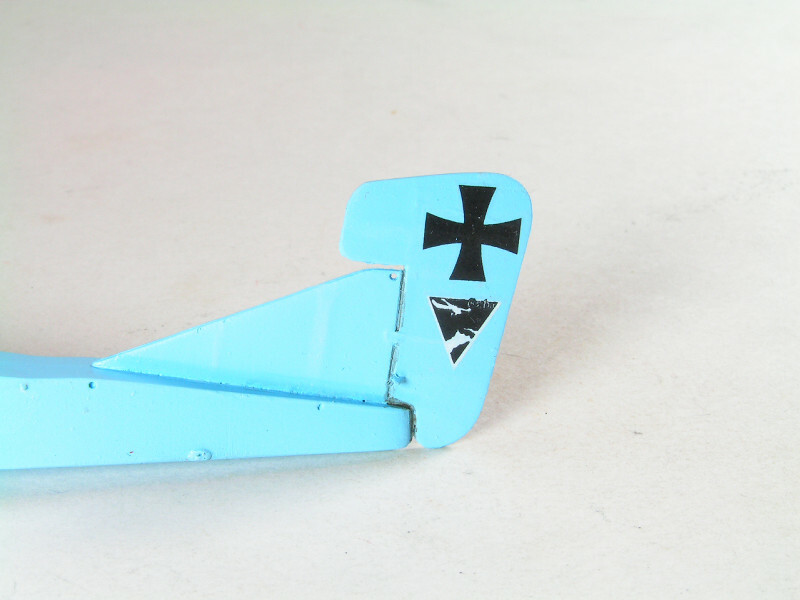 Put the side fuselage decal into the water and when it straightened out, it cracked in the center. Tried to put it on but more cracks appeared as I applied Solvaset to get it to lie down around raised detail. 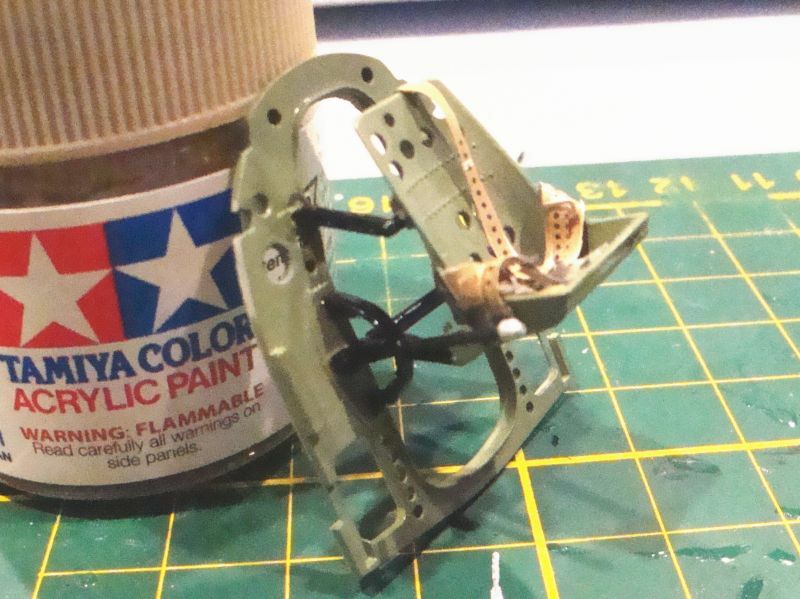 When I removed it from the fuselage, it left nasty white blotches. Smaller decals went on fine. So I decided to paint it on. Decals don't appear old stock. Got the kit directly from the Ukraine. Sorry to see that on the decals Mike. But it looks like you've gotten it under control. Nice save. 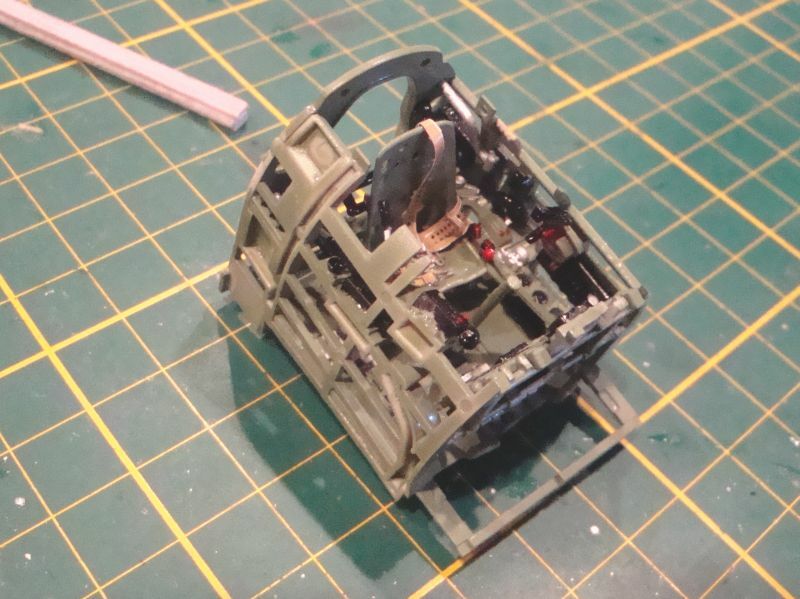 The first steps in my build involve putting the fuselage sides together and assembling the cockpit. 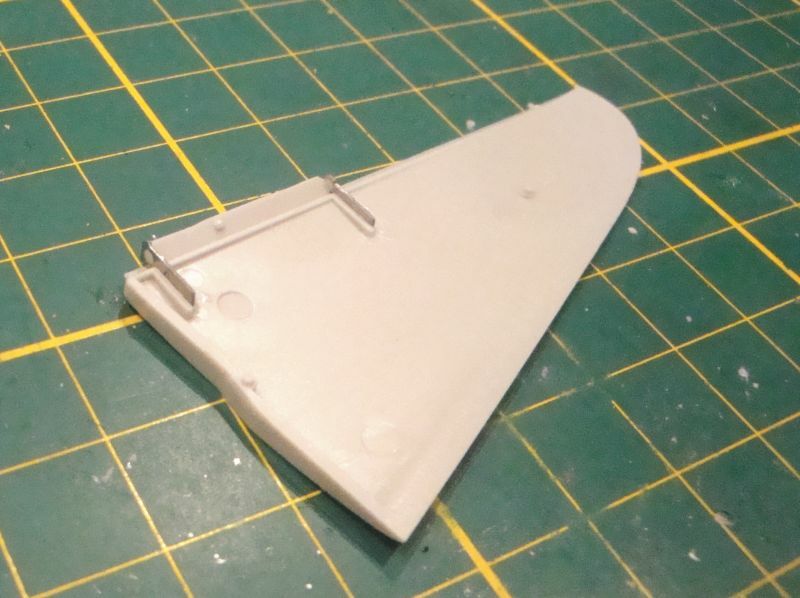 The kit is designed to slide the cockpit into the fuselage after it is together. 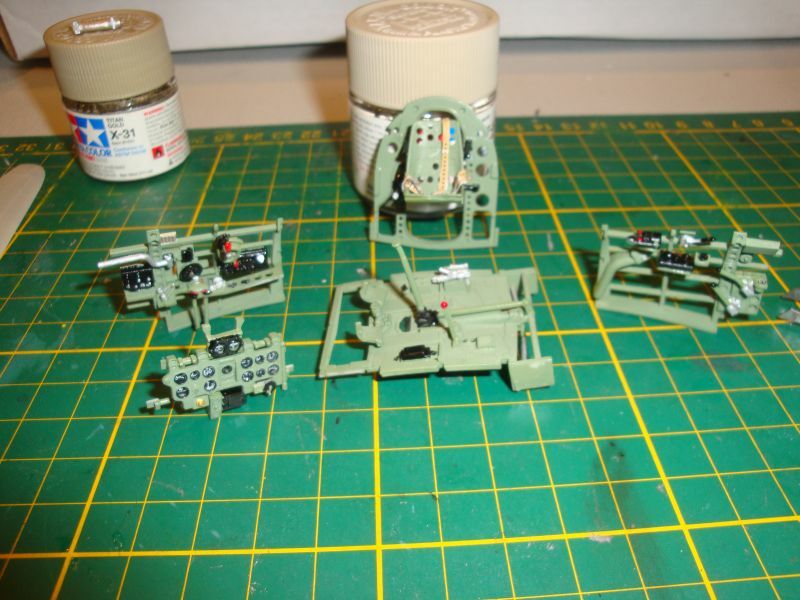 So I painted the interior surfaces of the fuselage and the cockpit pieces in IJN interior green. Then I spent some time detail painting the pieces. 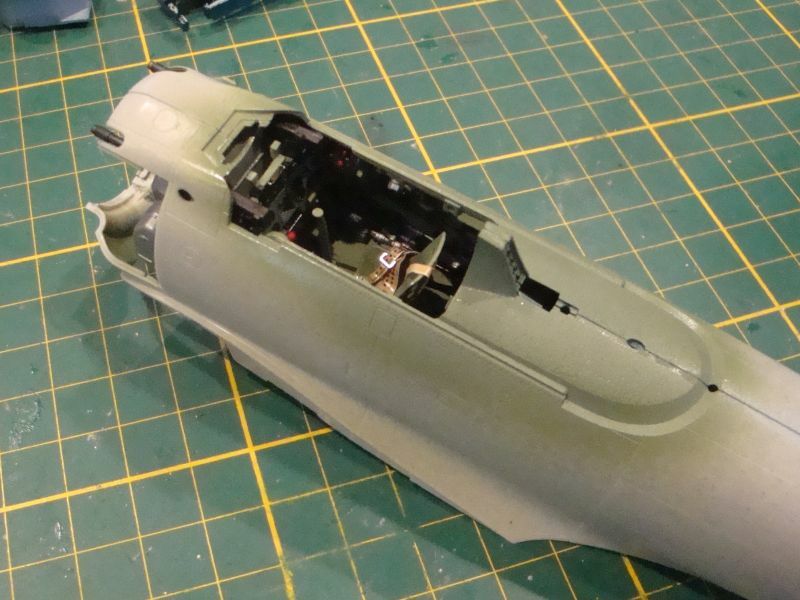 The fuselage has been glued together. 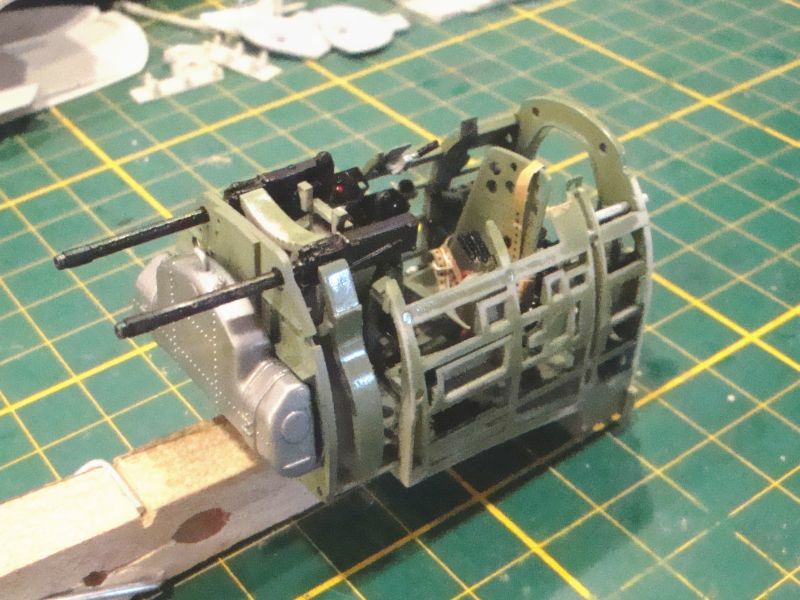 The cockpit pieces are done. Mounting the seat to the bulkhead was a royal pain. The four stand-offs are separate pieces and getting it all straight wasn't easy. The instrument panel has a clear insert which comes in from the back. Then the instrument decal is applyed from the back. The instrument faces are printed on the back side so they show through. 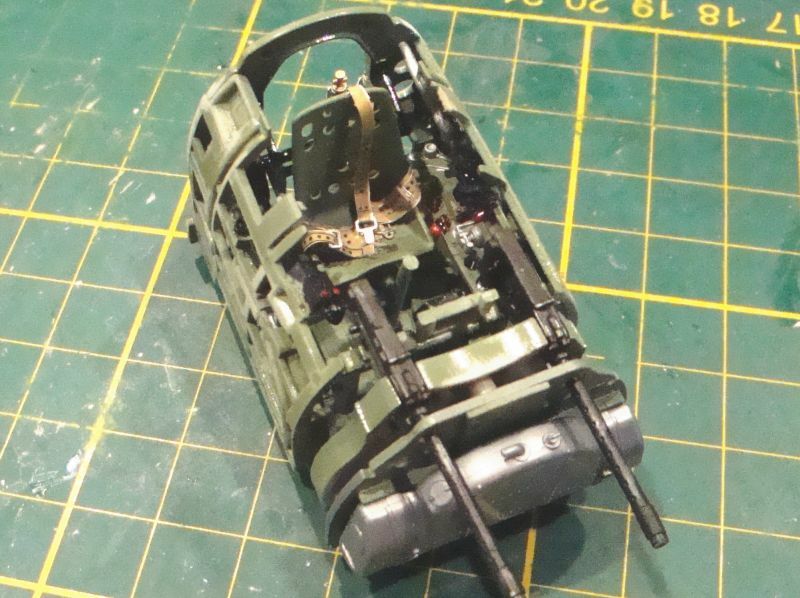 Mike: excellent work on the interior, and a nice workaround on the decal issues. 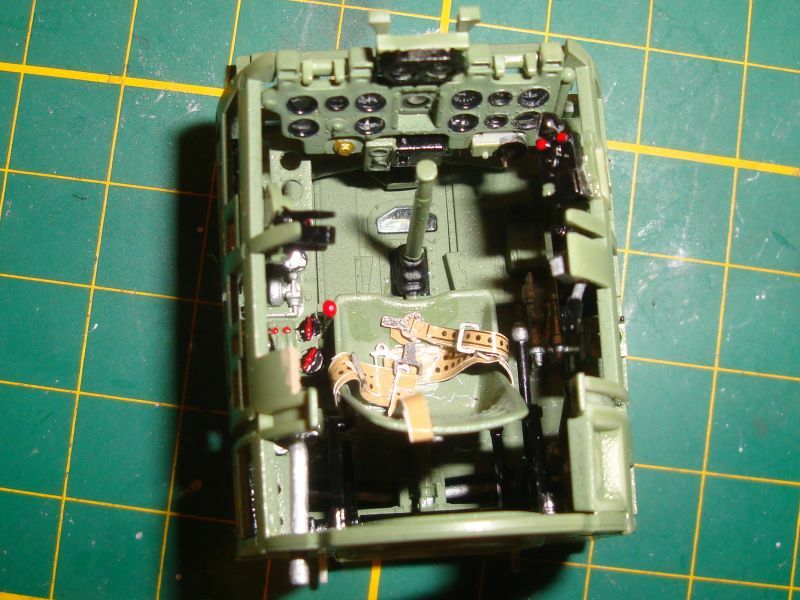 2whl: Great detailing of the cockpit. The pilots seat and harness look fantastic. Paul: What do you use for filling in the seams? That is one of the areas in which I need much improvement. Blame Russian meddling for the decal issues! All else by everyone is quality work as always! Paul: Cockpit looks friggin' awesome! 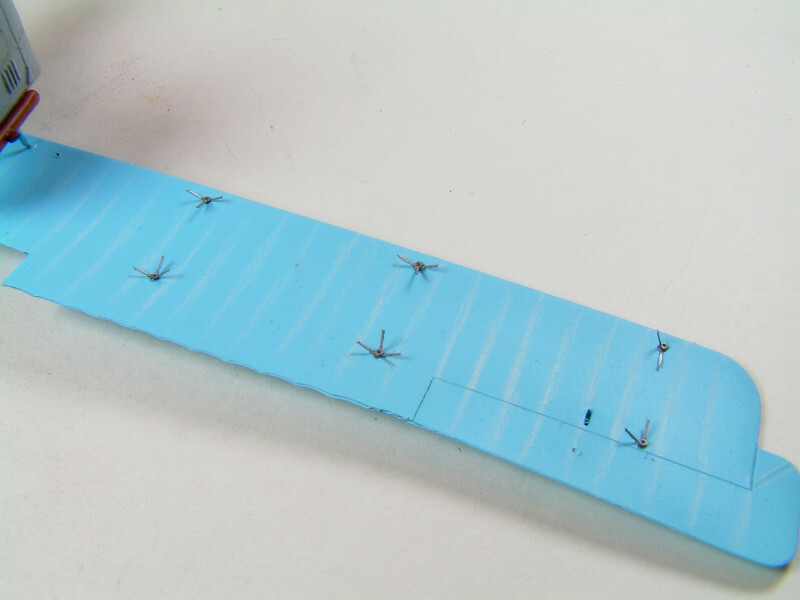 Cole: When I'm filling seams, I lay down tape alongside the seam to not blot out adjacent rivet detail or such. Then it's presicion sanding. 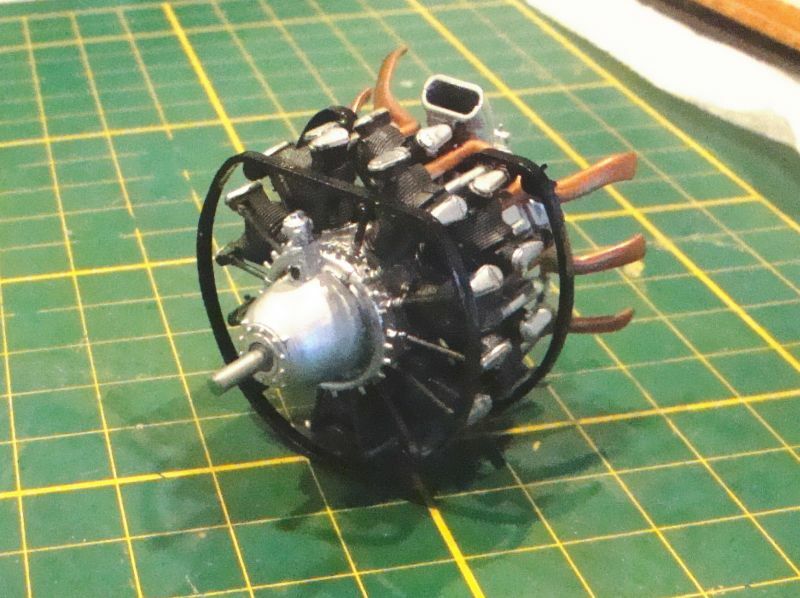 Got the engines attached to the fuselage assembly. 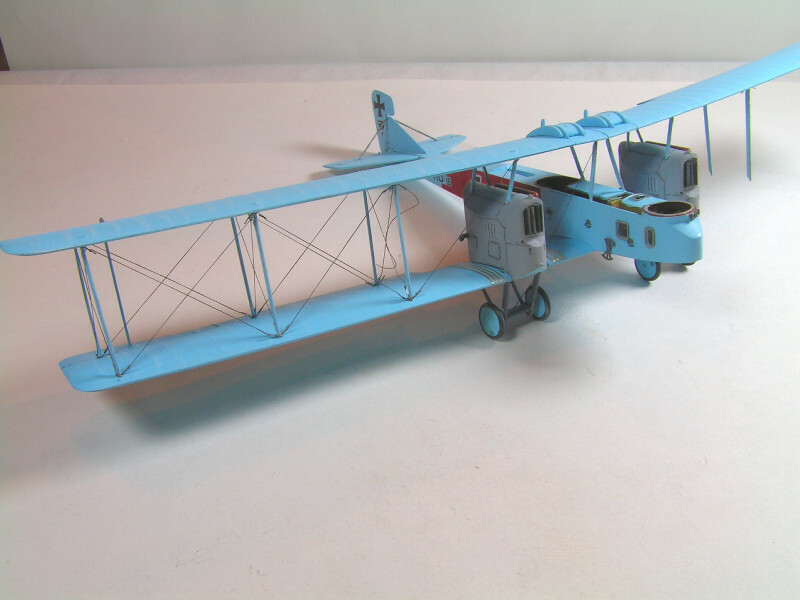 On the GIV, the nacelle was an integral part of the lower wing structure. In the process of attaching the PE radiator louvers - left side done. I got the rest of the pieces attached to the cockpit. Next will be inserting it into the fuselage. 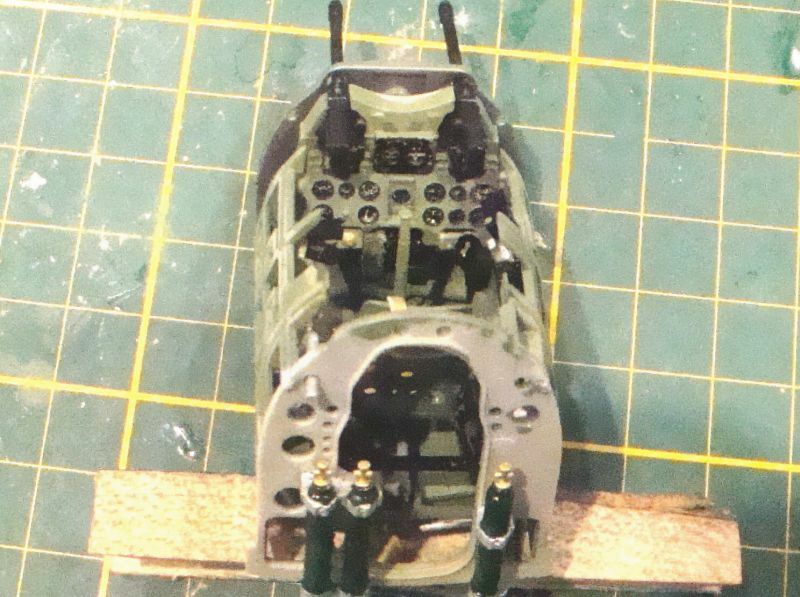 Paul: Beautiful looking cockpit. Lots of detail. Got the top wing attached at a few points. 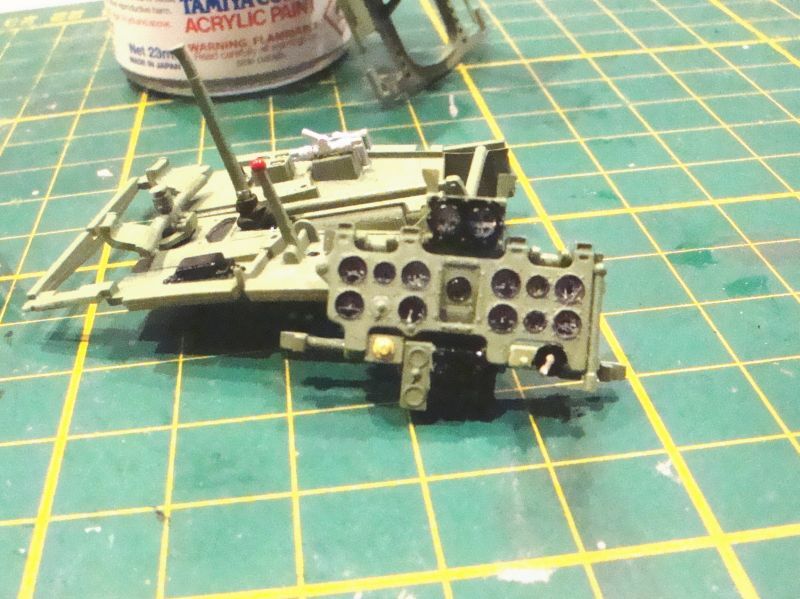 The struts crack in half very easily if I used sprue nippers, so I switched to nail clippers with success. Windows and frames are in. Also adapted the radiator louvers from the GV which is a different shape radiator. 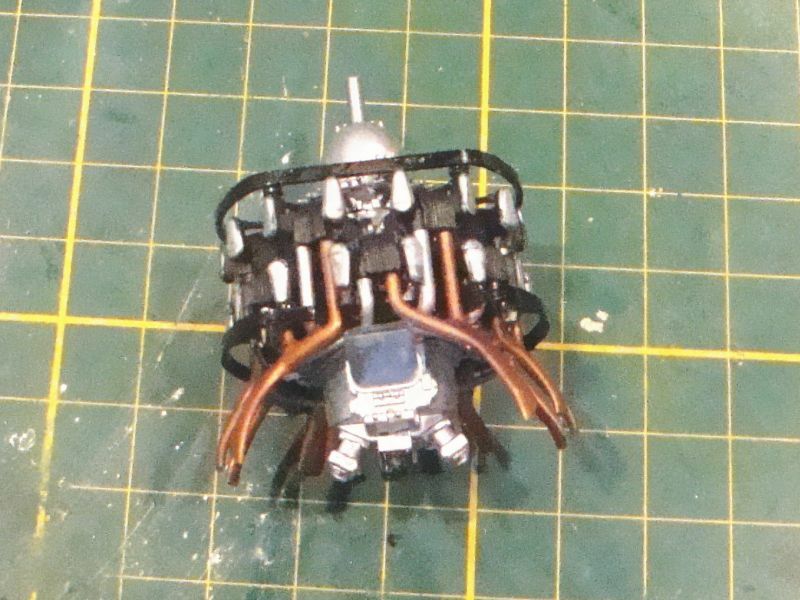 This is the turnbuckle PE attached to the top wing. 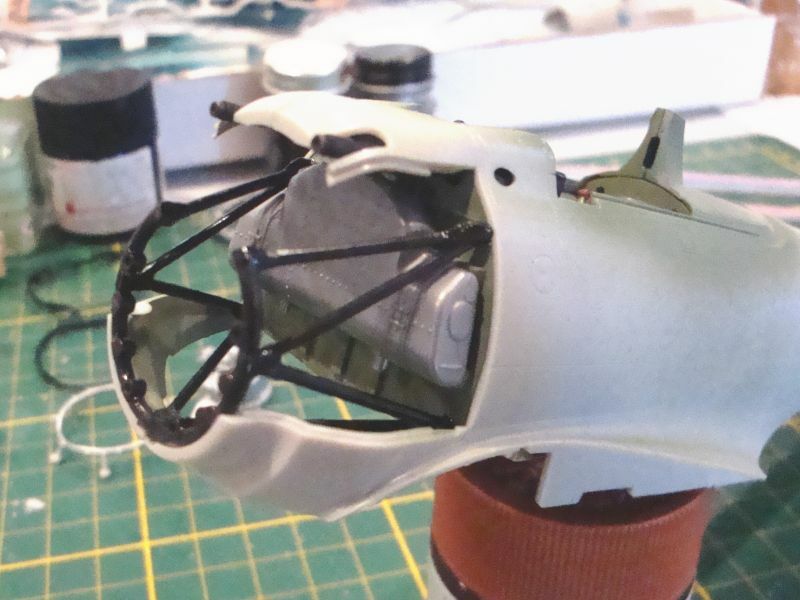 I hope it turns out well - the hole in the center for the strut to attach is very small and drilling it out wasn't very successful. Oh man! 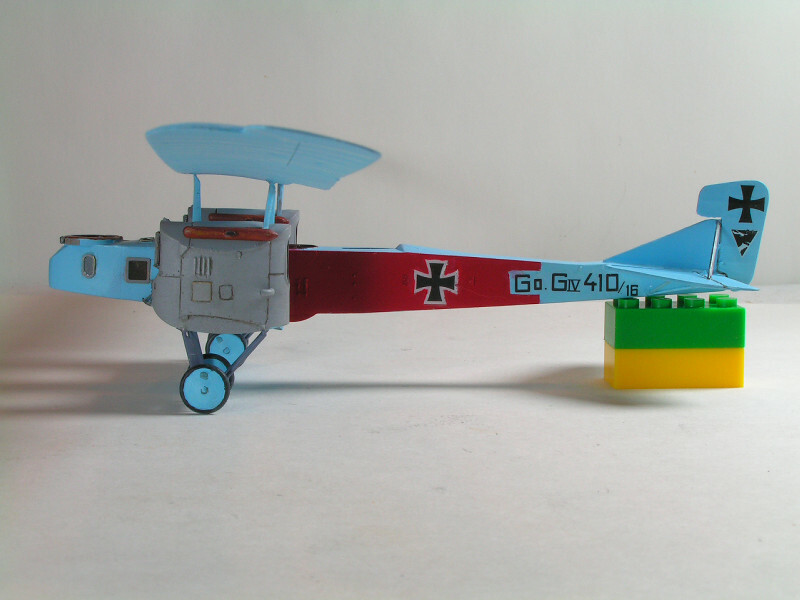 These planes are looking great! Keep up the good work! Mike that is coming along great. It looks like it's quite large. 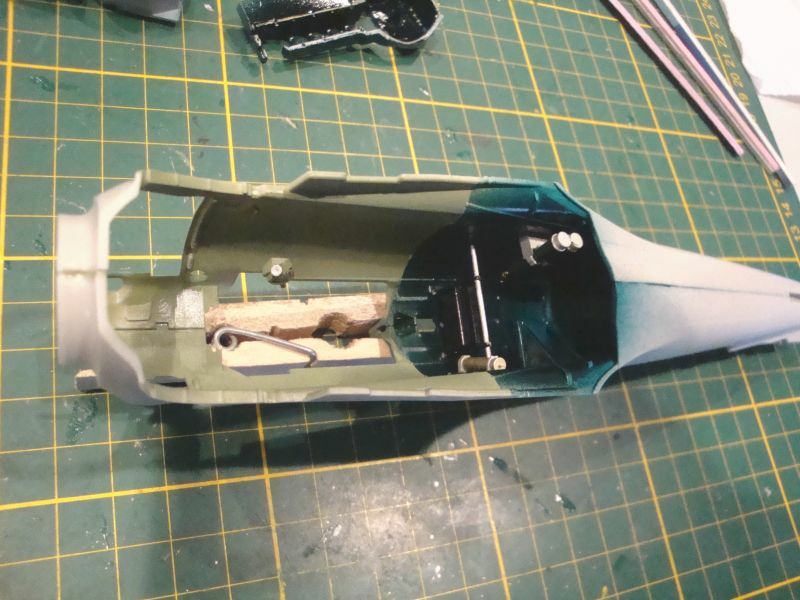 Got the cockpit into the fuselage. It slid in easily. Mike and Paul: Thanks for the advice and information. 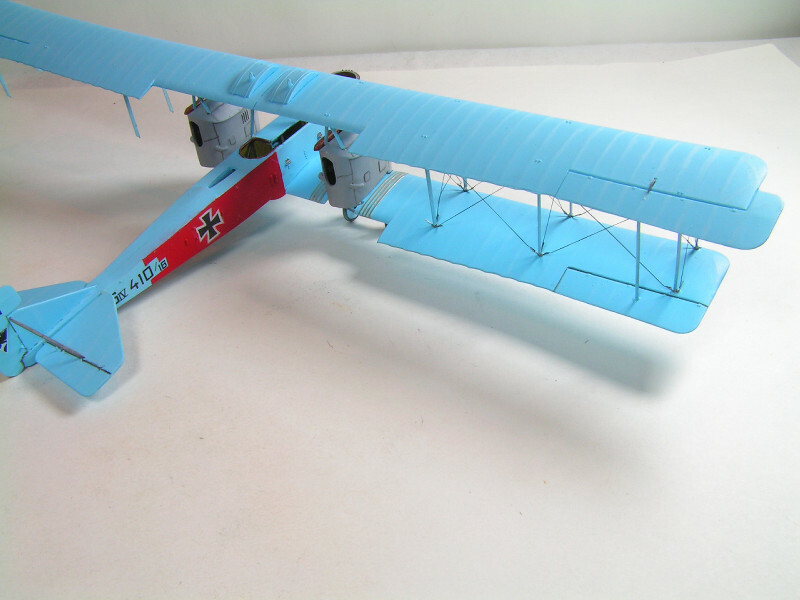 The Gotha is coming along nicely. 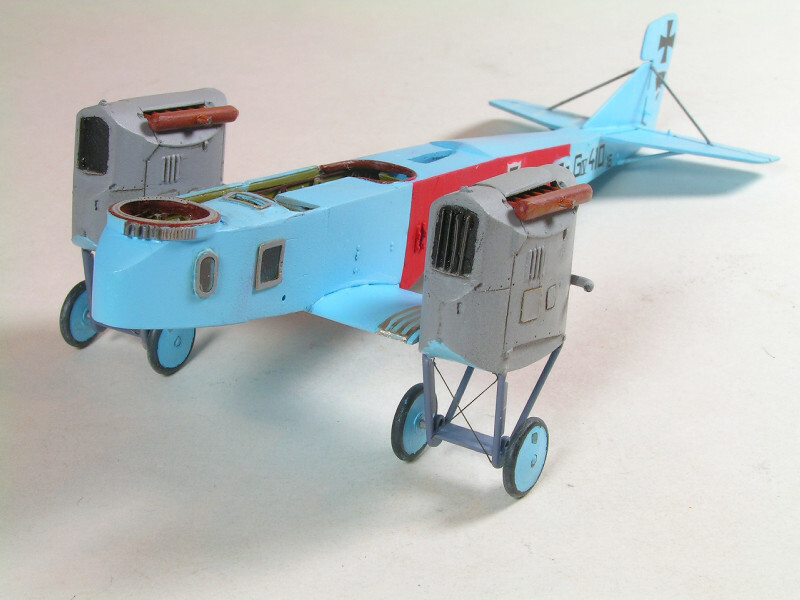 Suspicions continue to mount as I assemble the flying boat. I really wonder if the entire model is to scale. I will get into this more when I am farther along. 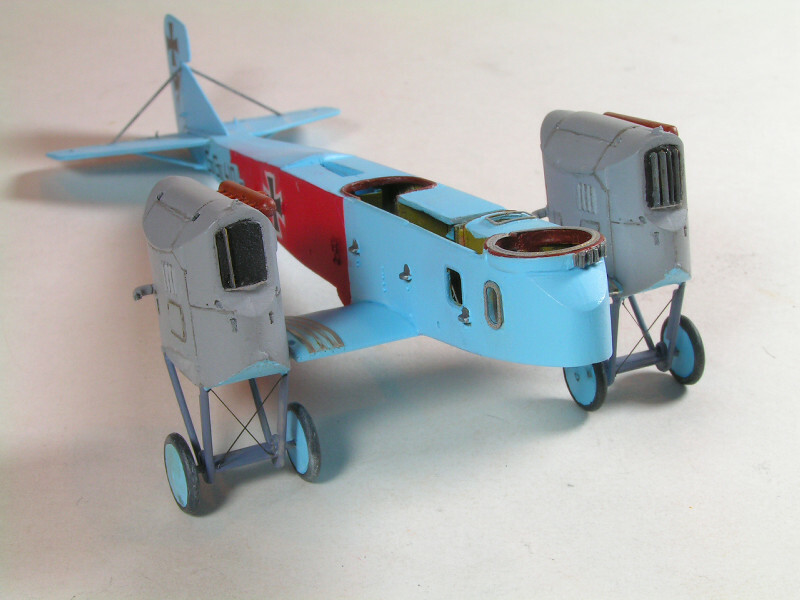 For now I'm assembling the wings and control surfaces. 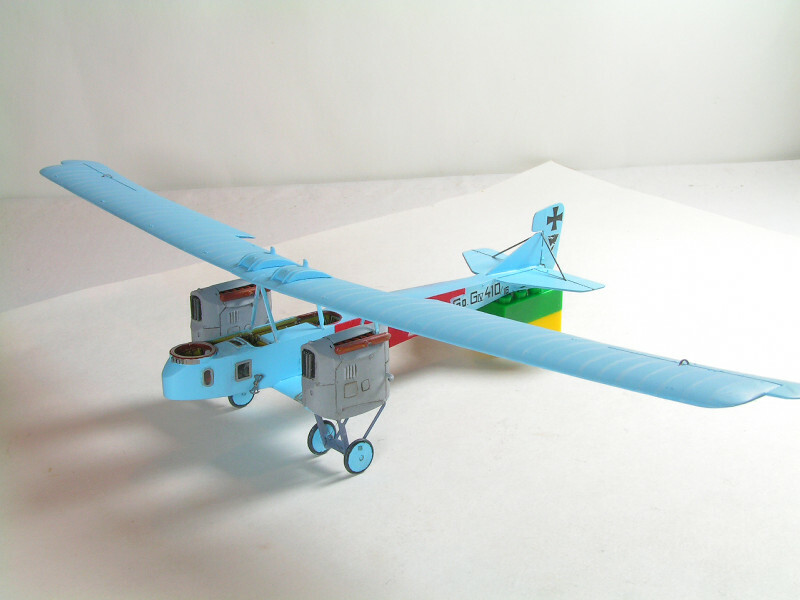 The Hasegawa design includes movable control surfaces. 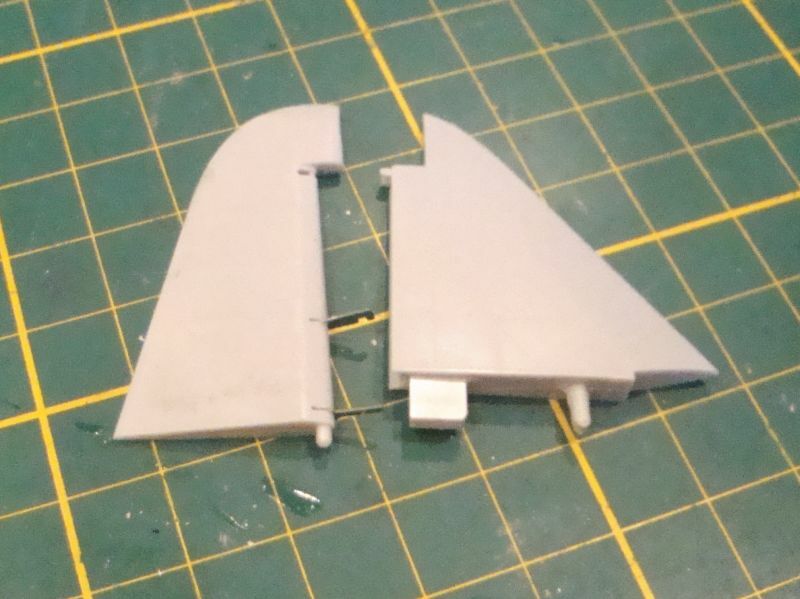 But the wing assemblies leave much to be desired when fitting them together. 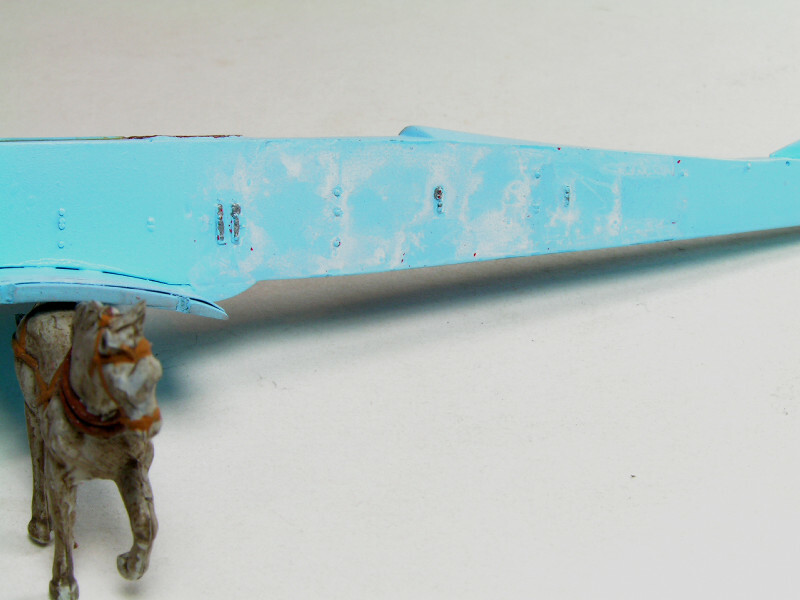 1/72nd and 1/48th bombers do get quite large! Finding display space can be harder than the build itself! 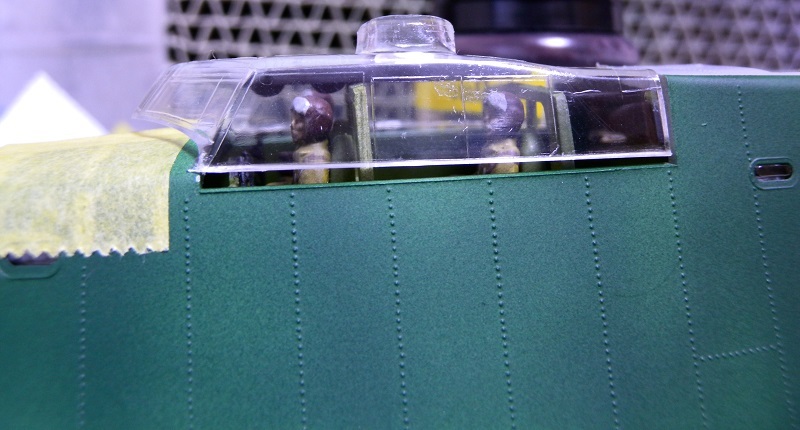 The control surfaces are hinged using p/e and wires. 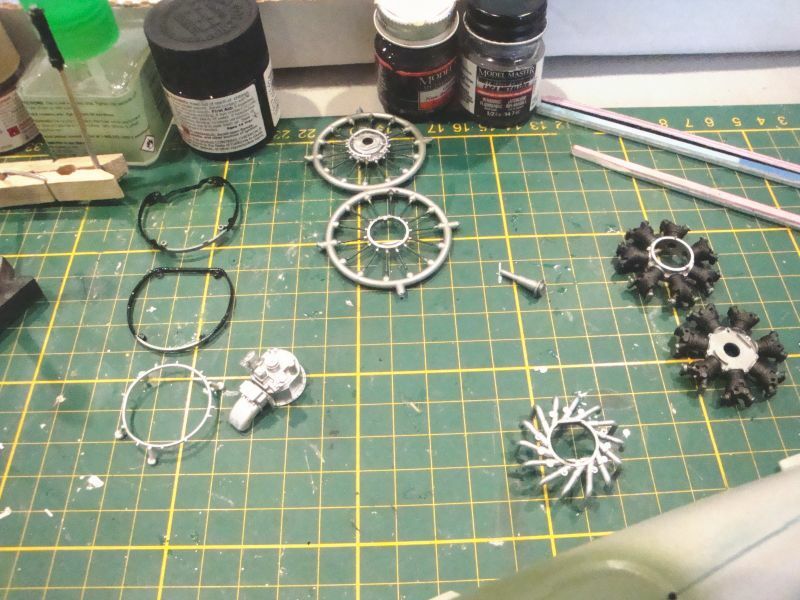 I've gotten the engine pieces painted and ready to be assembled. Paul: Sure looks good to me. Me, I ran into a little unexpected additional work. 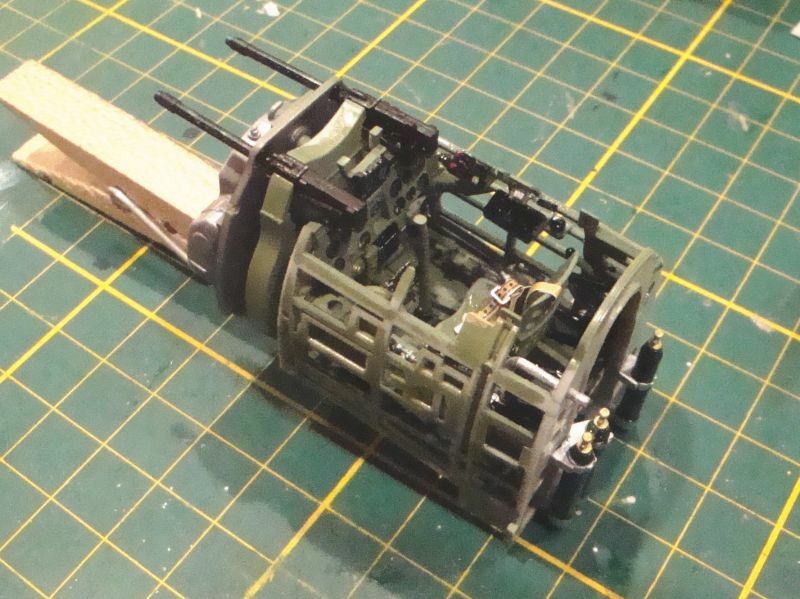 Since the PE turnbuckles cannot be drilled out further, and the struts are already very delicate (cracked 4 of them), the thickness of the PE comes into play throwing off the alignment of the lower wing. 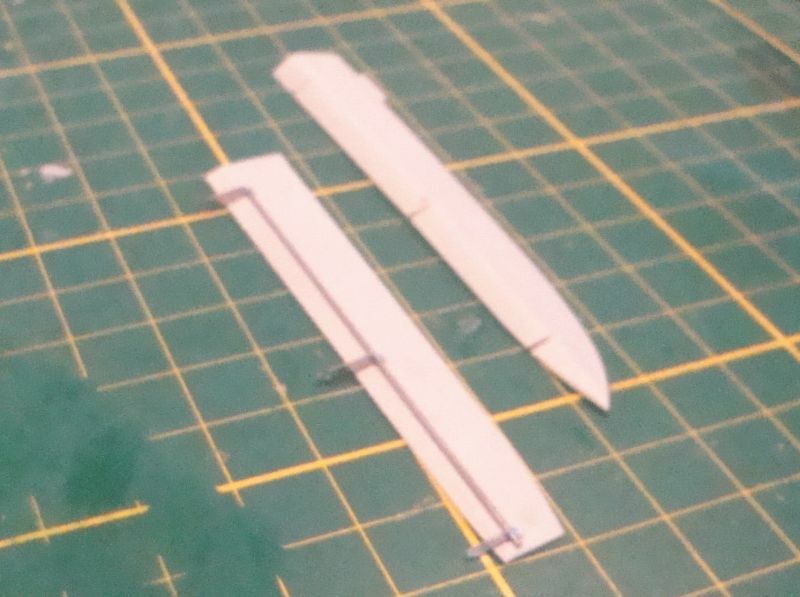 I first glued the struts in place on the upper wing and then test fit the lower, nipping material off the struts until everything fit. Lots of extra work for those turnbuckles. 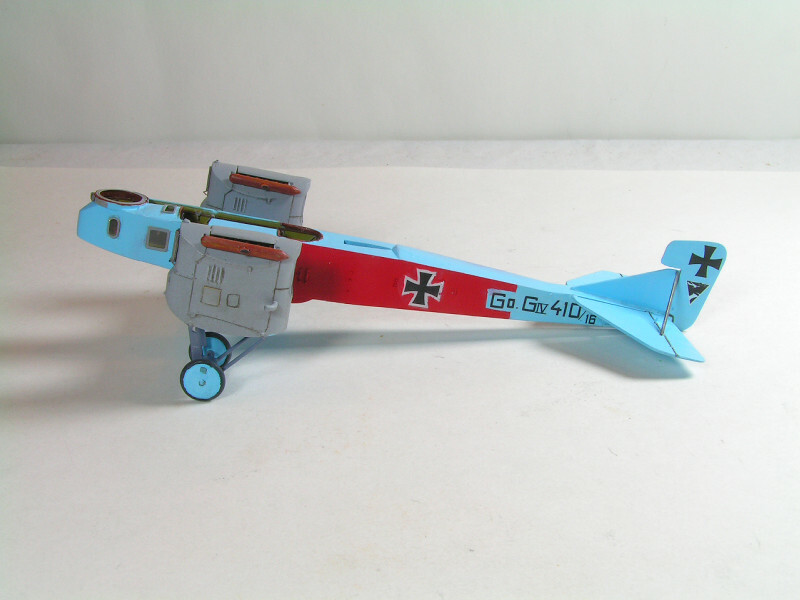 The old saying goes, "If you had to do it all over again..."
Well unfortunately, I also have a Gotha GII with PART PE in my stash. Paul: The photo shows nothing of which you speak. Mike: I feel your pain. But you're doing a great job. 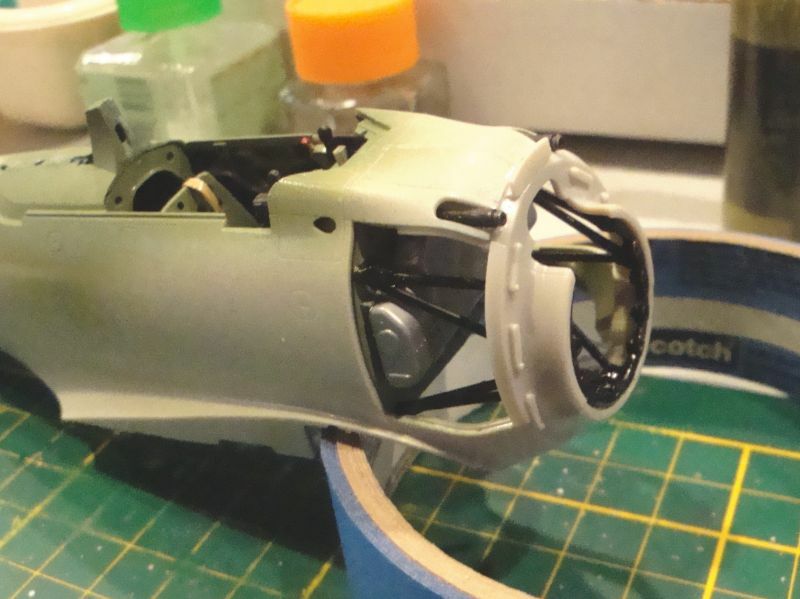 I decided to do things a bit differently for assembly and painting of the fuselage. 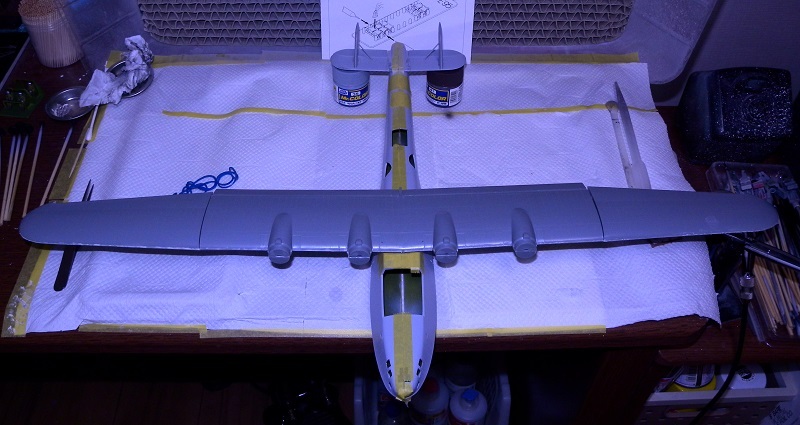 Since there are so many windows and view ports I have painted the fuselage except for the seam area and underbelly. All the internal windows, and cockpit are now in. 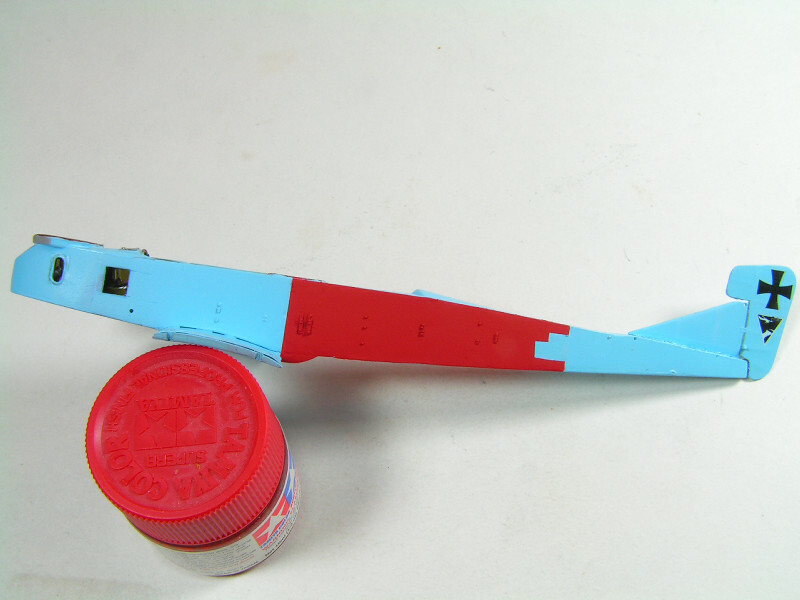 So I will button up the fuselage, fill the seams then paint the remainder of the fuselage. 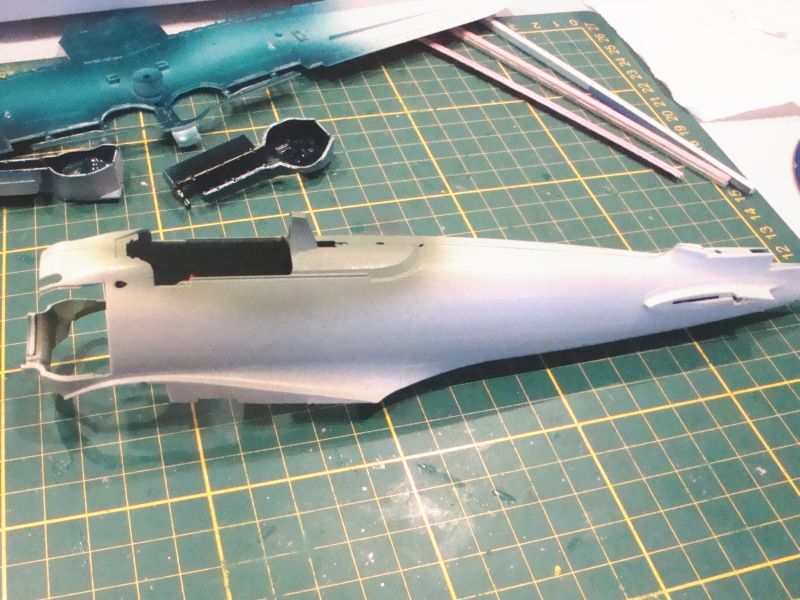 Hasegawa did quite a job of molding in rivets on all the external surfaces. Good work, gentlemen! Keep 'em flying! Mike.....I like the look of those turnbuckles. Cole....is that cockpit window fit any better? That's quite a gap. I find the Squadron dries too fast. 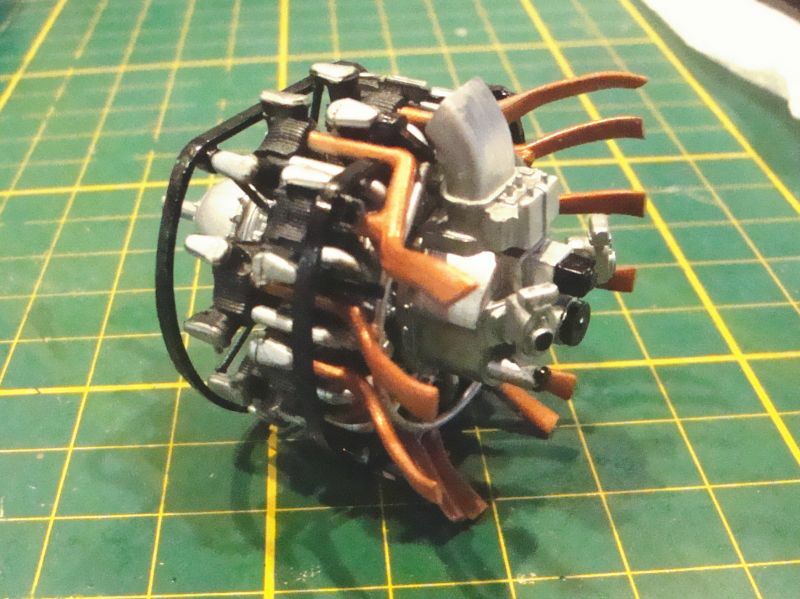 The Tamiya stuff is what I prefer.